An evaluation fee applies to all non-warranty repairs. See below. Rush service may not be available in all cases—Call First! In order to meet factory specifications, we can not repair or calibrate gauges with isolators or fittings attached. Our equipment is set up for 1/4"NPT male connections only. If you prefer to calibrate with your fittings or an isolator attached, your local metrology lab or gauge distributor may be able to do the calibration. We will be happy to provide them with calibration procedures. 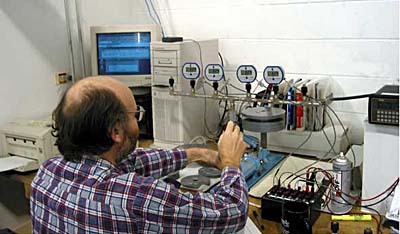 Cecomp gauges may be calibrated by the Cecomp factory in Libertyville, IL. Your local metrology lab or your gauge distributor may also offer these services. A local calibration service is your best option when you need to calibrate it with your fittings or a gauge isolator attached. Our product data sheets contain operating instructions and calibration procedures. Gauge calibration procedures for certian older products (pre-2008) can be downloaded here Cecomp Gauge 2008 Calibration Instructions. 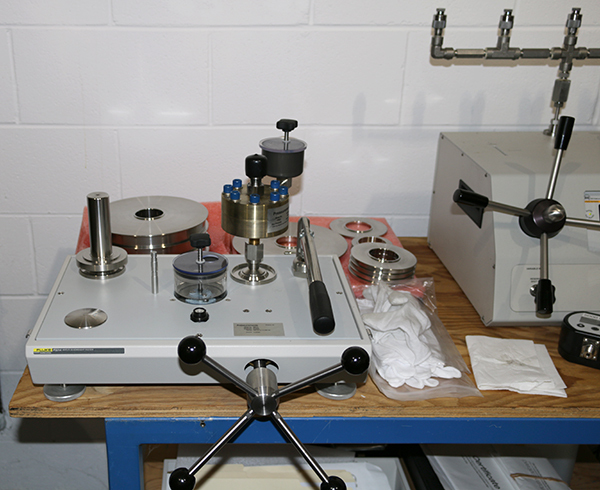 Contact us if you or your metrology lab needs assistance with calibration. If the product is under warranty, we will repair the product or warranted parts thereof under the terms of our 1 year warranty, otherwise we will advise you of non-warranty repair costs. Our non-warranty gauge service is generally divided into several levels. Please call us for pricing. Let us know what type of calibration you require. Please contact Customer Service for calibration prices.